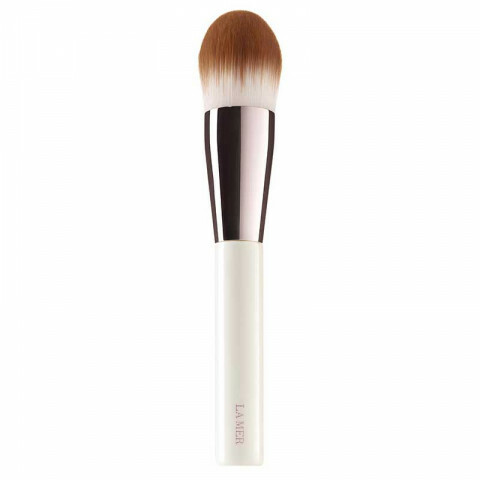 This velvety prescision brush helps smooth fluid foundation easily over the skin. The softest touch for a flawless look. Is performance is outstanding!!! This knocks out all my other foundation brushes out of the park. It is so easy to use and blends my foundation so well. It is so soft and makes sweeping on foundation effortless. i like to use this brush to dust setting powder all over my face. very soft and densely packed bristles. love it! I am so glad that I purchased this brush! I might not use it everyday, but when I do it is the best! This brush is overpriced, yes. But it is extremely good quality and applies product effotessly. Don't let the density of the brush scare you away. This brush barely soaks up any products and apply foundation and any cream products flawlessly and effortlessly!